Do you love going to the movies? 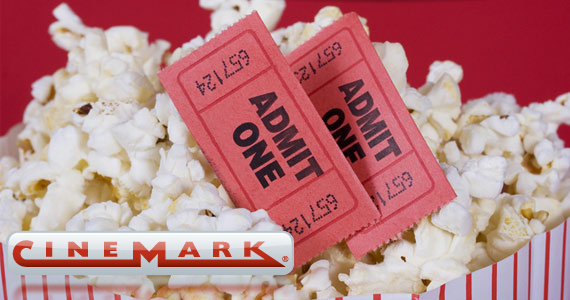 Get rewarded for going to Cinemark when you sign up for their weekly email! Cinemark loyalty perks include free concession coupons straight to your inbox weekly, the latest info on featured films, advance tickets, special events, contests, promotions and a special birthday concession coupon during your birthday week! Sign up today and you’ll get your 1st coupon via email today. What movie will you go see next?